Hanna and Andrew pour red wine onto carpeting to test a listener's stain-removal tip. Did it give them hives? Maybe! They also help a listener with some sponge-related relationship advice, Hanna reviews some eco-friendly paper towels, and Andrew's cat is betraying him in a very gross way. Marley’s Monsters make the non-paper-towels that Hanna’s mom got for her. They are great! Folex can be found at your finer hardware stores or on the internet. 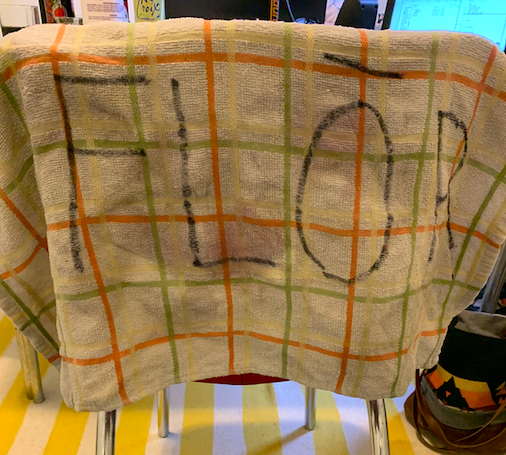 You can also see a photo of here Andrew’s FLOR towel.